First things first: MAY 15 IS PRIMARY DAY. Get out and vote! Get your friends, family, neighbors, enemies, and total strangers out to vote! If you’re not sure of your polling place, find out here. Polls are open 7 a.m. to 8 p.m. Even if your candidates are running unopposed, turnout matters. The more people show up to vote in the primary, the easier it’ll be for candidates to get funding from the party and from outside donors. And the war chest matters when we get down to the wire this fall. But on May 16, the primary’s going to be behind us, and it’ll be time to celebrate. So …. Deb is bringing a cake! There should be plenty for everybody. 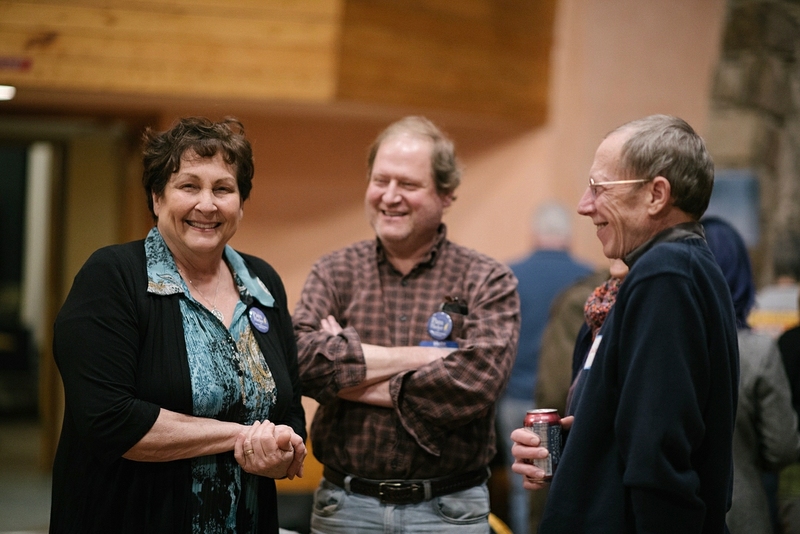 Let’s celebrate the hard work we’ve put in and the great strides our candidates have taken over the past year. We’ll also be hearing from Susan Bickel of POWER Interfaith about their upcoming Harrisburg lobby day. One of POWER’s current campaigns, which we heard about last year, is the fair education funding fight. Pennsylvania has shocking disparities in state funds for education. On June 20, all of us have an opportunity to join POWER in Harrisburg to push our lawmakers to do the right thing on education funding. Of course, we’ll also spend some time going over the primary results and what they mean going forward. 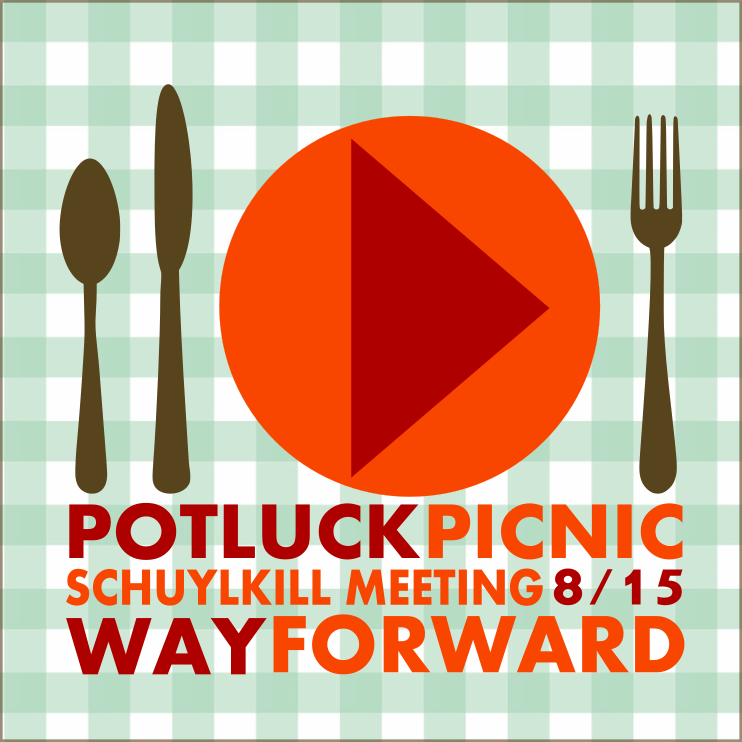 Join us for a potluck! To build a peaceable, just, and sustainable planet for all. To defend the vulnerable, engage in courageous dialogue, and resist injustice and fear. At the Way Forward, we believe in and practice the art of listening. Erich Fromm argues that listening is “is an art like the understanding of poetry” and, like any art, has its own rules and norms. Drawing on his half-century practice as a therapist, Fromm offers six such guidelines for mastering the art of unselfish understanding. You can read those six guidelines on the Community page. We meet at Rose Hall, on the grounds of Camp Hill Kimberton Village. To find us, drive to 1601 Pughtown Road, Phoenixville, PA. At the Camp Hill Cafe sign, turn onto the village property, and just follow the road up the hill. When you pass the café on your left, you should see Rose Hall, a large, rose-colored building. Park your car and come on in. Caution: roads on the village property are narrow, and there will be pedestrians, so please drive slowly and carefully!